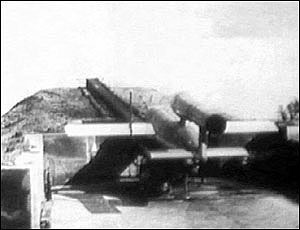 The V-1 Flying Bomb (code named FZG-76) and nicknamed the Doodle-Bug, was powered by a pulse-jet motor and carried a one ton warhead. It was usually launched from a fixed ramp, but could be launched from the air. 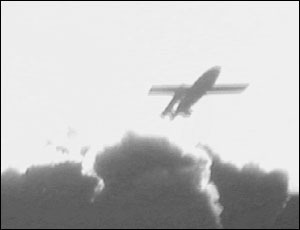 It had a speed of about 350 mph at 4,000 feet and initially had a range of 150 miles, which was later extended to 250 miles. 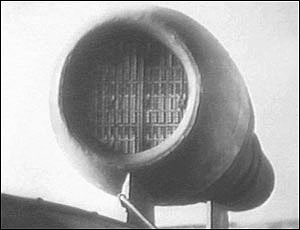 Germany fired 9,521 V-1 Flying bombs on southern England. 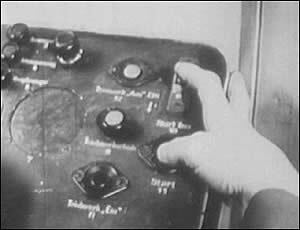 Of these 4,621 were destroyed by anti-aircraft fire, caught by barrage balloon cables or shot down by fighters. Though Spits and Hurries did shoot some down, in the later years, it was mainly left to the faster Hawker Tempest with a top speed of 435 mph to catch and destroy them.